What does the squad do? Training sessions (single days and full weekends) are held generally once per month. These provide members with an opportunity to mix with other orienteers their own age and develop their orienteering skills. The training is designed to improve everyone to the highest possible standard and prepare them for international competition with the GB Squad in the future. The group is split into smaller groups to allow coaches to focus on an individuals strengths and weaknesses - typically a 6:1 ratio of squaddies to coaches. Training includes fitness work, technical skills and race practice. In the evenings there is time for games and social activities and everybody helps prepare the meal. Activities are also organised to develop map skills or analyse routes from recent events. The squad competes at the Inter-Regional Championships every year and we have been champions many times. The Squad is always keen for new members. It is preferable for juniors to have begun to practice the compass skills necessary to complete Light Green courses. Please contact the squad coordinator, Sue Roome. New members may be invited to join the squad at any point during the year, but typically it will be in June following a trial day earlier in the year (normally May). Everyone begins as an associate member and becomes a full member once they reach the required standards. This gets you a squad o-top. At the end of the year the squad is disbanded and assessment of all existing squad members is made against the standards. In January the following year invitations will be set out to those being asked to create that year's squad. It is envisaged that most members of the squad will be invited back. 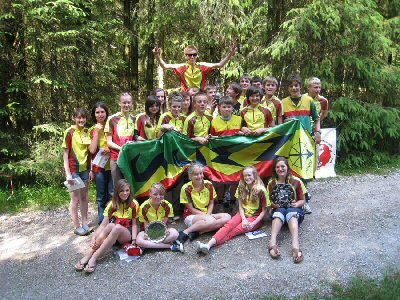 Membership of the squad allows access to British Orienteering summer tours and the talent Squad. We regularly have more juniors on tour than any other squad and also have members at international teams, eg. World Schools, Interland, JHIs.